This category is reserved for our Guest Speaker and other special guests. Includes 8 reservations at a table located near the stage/front of venue, a booth in the Concourse, and promotion at the event. Names of your 8 attendees may be provided to FWBCC at a later date. $15 Luncheon and event fee for current Active, Guard or Reserve members of the U.S. Armed Forces, current Military Spouses, Former Military, and Gold Star Family Members. Please note: After March 31, the registration fee will increase to $20. $20 Luncheon and Event Fee for a member of the Fort Wayne Base Community Council. Please note: After March 31, the registration fee for a member will increase to $25. $30 Luncheon & Event fee for attendees who are not members of the Fort Wayne Base Community Council and are not current Military or Veteran. Please Note: After March 31, the registration fee for guests will increase to $35. Registrants may add "guests" through their own registration, or a separate registration can be entered for each attendee or guest. Contributor to Bestselling Book "13 HOURS" and 2016 Hit Movie "13 HOURS: The Secret Soldiers of Benghazi"
10:00 am Military, Veteran & Community Resources - free and convenient access to booths located in the Concourse of the Parkview Mirro Conference Center event venue. Open to the public - luncheon registration is not required. 10:30 am Check-In for the Luncheon & Program opens in the Concourse of the Mirro Conference Center event venue. Pre-registration is required - Please note that Registration closes on April 9. The fee structure below ends March 31. $500 - Corporate Table Sponsorship & Donation to our Mission - Includes 8 luncheon registrations, a booth in the Military Concourse with table, linen and chairs provided, and promotion at the event and in the printed color program. 11:30 am Official Program & Luncheon begins promptly at 11:30 a.m. with singing of our National Anthem. Attendees must be pre-registered. 1:30 pm "13 HOURS" book sale and book signing by our Keynote Speaker Kris "Tanto" Paronto begins. Proceeds of the book sale will benefit our community partner USO of Indiana. Our event will include presentations by special guests and local military leaders. 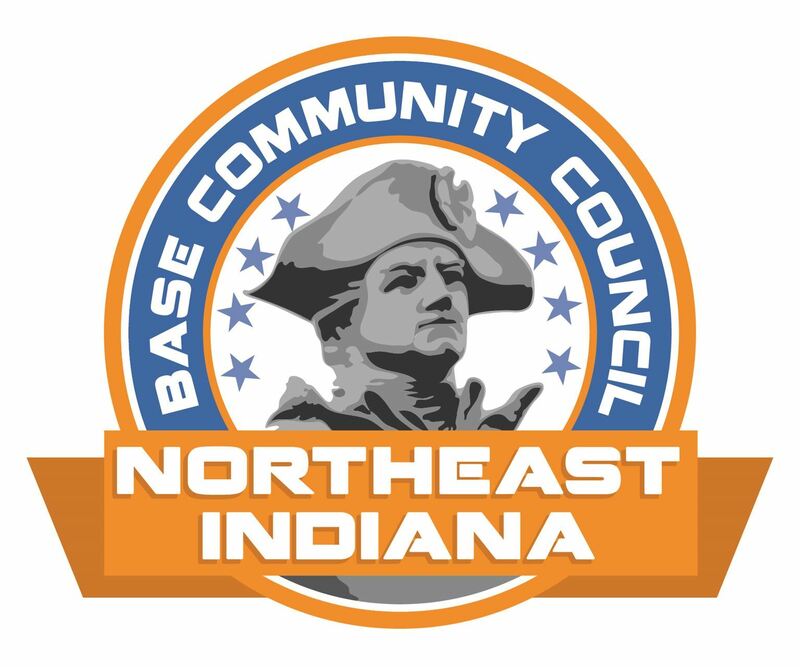 The Fort Wayne Base Community Council is a nonprofit membership organization promoting understanding and engagement between community and military, advocating for maintaining military strength in the Northeast Indiana region, and providing resources and aid to service members and their families, including a 501c3 Military Support Fund. Come join us in Fort Wayne Indiana and help support Veterans, current members of the U.S. Military, and the families and community members standing behind our Nation's Warfighters. Keynote Speaker Sgt. Kris "Tanto" Paronto will share first-hand details of the September 11, 2012 attack on Benghazi and will inspire our audience with his ideas on servant leadership and leadership under fire. Kris Paronto - “Tanto” as he is affectionately known in security contracting circles - is a former Army Ranger from 2nd Battalion 75th Ranger Regiment and a private security contractor who has deployed throughout South America, Central America, the Middle East and North Africa. Until 2013, he also worked with the US Government’s Global Response Staff conducting low profile security in high threat environments throughout the world. Mr. Paronto was part the CIA annex security team that responded to the terrorist attack on the US Special Mission in Benghazi, Libya, September 11th, 2012, helping to save over 20 lives while fighting off terrorists from the CIA Annex for over 13 hours. Mr. Paronto’s story is told in the bestselling book “13 HOURS” written by Mitchell Zuckoff and the surviving annex security team members. A movie based on the book opened in theatres earlier this year. Mr. Paronto was born in Alamosa, Colorado and obtained his Associate Degree from Dixie College (now Dixie State University) in St. George, Utah, Bachelor’s Degree from Mesa State College in Grand Junction, Colorado and Masters Degree from The University of Nebraska at Omaha. He served 4 years in the US Army and an additional 4 years in the US Army National Guard, reaching the rank of Sergeant then becoming a commissioned officer in 2003. "13 HOURS" is the harrowing, personal true account from the brave men on the ground who fought back during the Battle of Benghazi. 13 HOURS: The Secret Soldiers of Benghazi presents the events of September 11, 2012, when terrorists attacked the U.S. State Department Special Mission Compound and a nearby CIA station called The Annex in Benghazi, Libya. A team of six American security operators fought to repel the attackers and protect the Americans stationed there. Kris was one of those selfless men who went beyond the call of duty, performing extraordinary acts of courage and heroism, to avert tragedy on a much larger scale. The event flyer below can be shared! The Movie "13 HOURS: The Secret Soldiers of Benghazi" is now showing at the Apollo Coventry 13 Theatre in Fort Wayne! Tickets are $3 all day every day other than $2 on Tuesdays. A full plated meal (including vegetarian and gluten-free options) is included in the registration fee. Registrants can register other attendees as "special guests", or a separate registration can be completed for guests. Payment Online is preferred & appreciated. If you wish to generate an invoice for your records, you can select such option and then continue to pay the invoice online via a PayPal Account or Credit Card. If you are not able to attend this event but would like to support our mission, click on the "Donate" tab on this website. Pre-registration is required - Please note that Registration closes on April 9. Early registration pricing ends March 31. Keynote Speaker Sgt. Kris "Tanto" Paranto will share first-hand details of the September 11, 2012 attack on Benghazi and will inspire our audience with his ideas on servant leadership and leadership under fire. Mr. Paronto was part the CIA annex security team that responded to the terrorist attack on the US Special Mission in Benghazi, Libya, September 11th, 2012, helping to save over 20 lives while fighting off terrorists from the CIA Annex for over 13 hours. Mr. Paronto’s story is told in the bestselling book “13 Hours” written by Mitchell Zuckoff and his five surviving annex security team members. A movie based on the book opened in theatres earlier this year. "13 Hours: The Secret Soldiers of Benghazi" is the harrowing, true account from the brave men on the ground who fought back during the Battle of Benghazi. 13 HOURS presents the true account of the events of September 11, 2012, when terrorists attacked the U.S. State Department Special Mission Compound and a nearby CIA station called the Annex in Benghazi, Libya. A team of six American security operators fought to repel the attackers and protect the Americans stationed there. Kris was one of those selfless men who went beyond the call of duty, performing extraordinary acts of courage and heroism, to avert tragedy on a much larger scale. The book and movie are the personal account of what happened during the thirteen hours of that now-infamous attack.